General Park Map,or the Johnny Appleseed Park Map. History: This park is named in honor of grower, wandering missionary, and friend to all who knew him, John Chapman, a man known throughout national folklore as Johnny Appleseed. Johnny's modest final resting place can be found atop a natural mound, the last resident of what was once the Archer Family Cemetery. 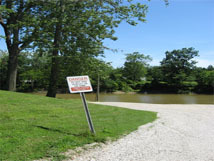 A boat ramp, approved by the Department of Natural Resources, gives you and your family endless opportunities to find the biggest catch of the St. Joseph River during your campground stay. 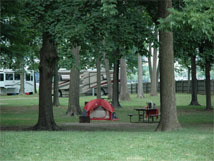 One of Johnny Appleseed Park's most beloved features is its famous campground which has 41 RV/Camper sites. 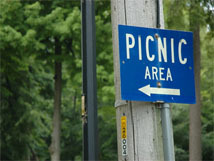 For more information about Johnny Appleseed Campground features and camping fees, click here. 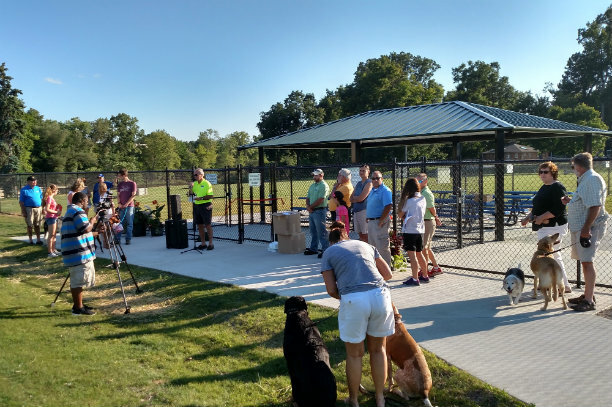 A $ 40.00 annual dog membership pass can be purchased at the Parks and Recreation Main Office and is valid at Camp Canine located in Johnny Appleseed Park and Pawster Park located in Foster Park West. Dog owners must show proof of rabies, distemper, and parvo vaccinations to obtain a pass. 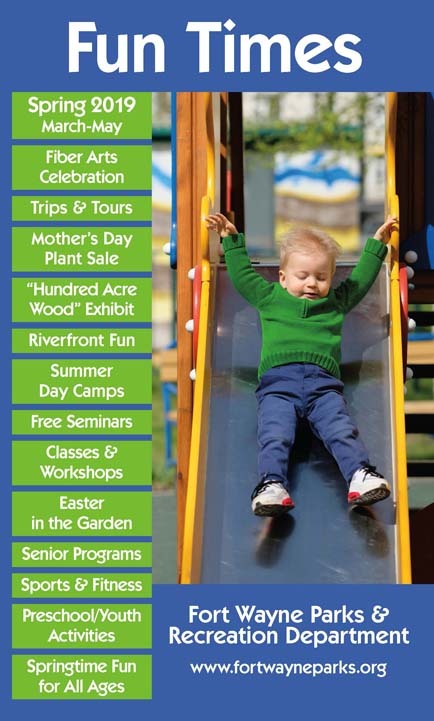 Bring a picnic lunch and enjoy the day down by the St. Joseph River. Picnic tables are provided on the river side of the park by the playground equipment. 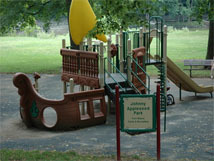 The playground at Johnny Appleseed Park features a variety of activities sure to please any child. 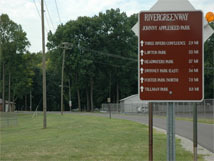 Johnny Appleseed Park marks one of the key starting points of the Rivergreenway on the northeast side of town. Get started today on walking, hiking or biking on this 24-mile linear path that extends all the way to Tillman Park. 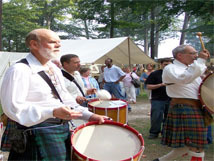 The Johnny Appleseed Festival is always held the third full weekend of September in Johnny Appleseed Park. You will not want to miss this fabulous Fall Festival. Read more about the Johnny Appleseed Festival here.